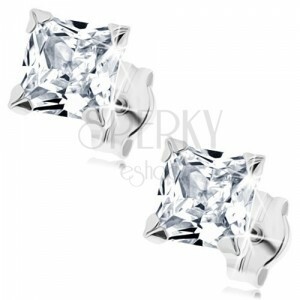 375 gold earrings - clear glittery zircon cut into the shape of square, stud fastening. By buying this product you can collect up to 19 points as a voucher of $5.13. Your reward points. 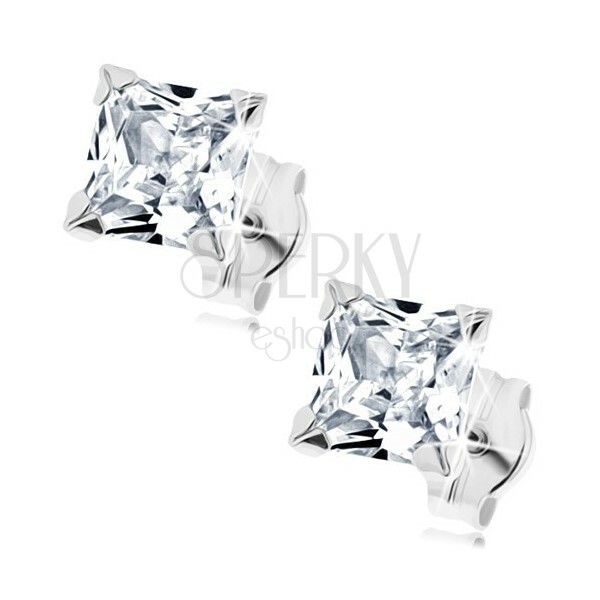 White 9K gold earrings have decorative part of glittery zircon and square shape in transparent coloured finish. It is gripped with four glossy prongs. 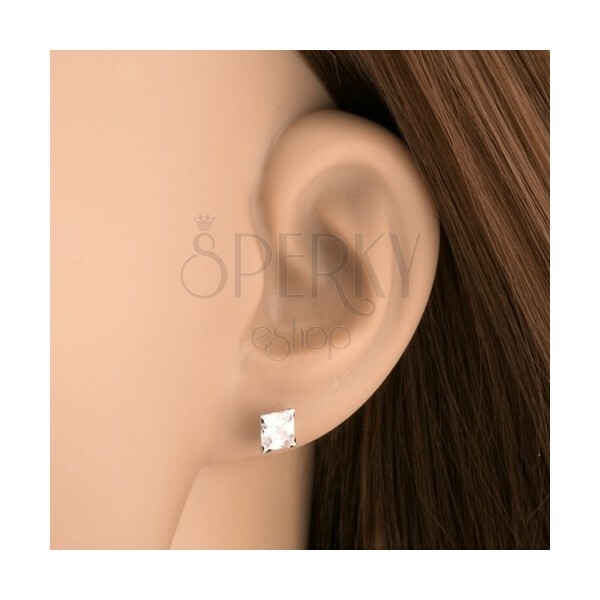 Earrings have removable closure retained by friction.